John Monkman is a veteran of the electronic music scene, with releases on some of the biggest labels in the deep house and techno world, including Crosstown Rebels, Noir Music, Get Physical and Kompakt. 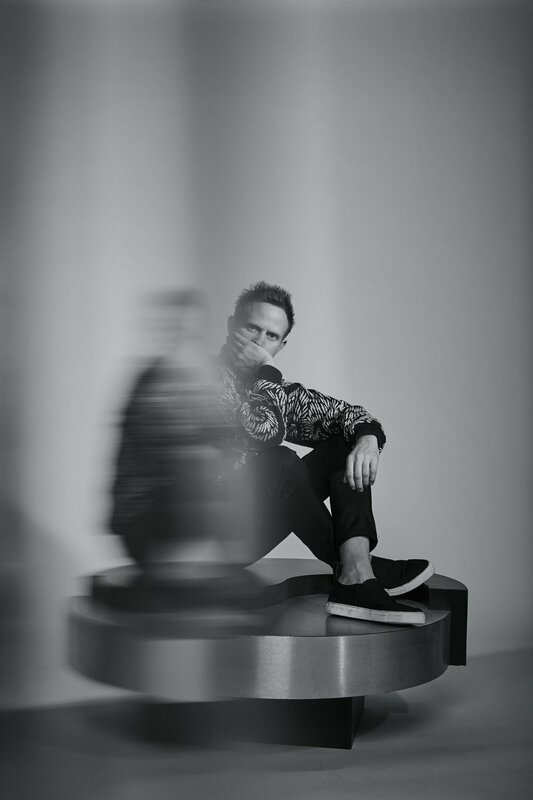 His back catalogue is up there with the best, receiving regular support from the likes of Sasha, Pete Tong (who he has collaborated with) and Jonas Rathsman, as well as regular plays on Radio 1 via Skream and Danny Howard. Touching down for a Back To Ours session at Paradise this Friday November 10th, John is joined by longtime collaborator and super-talented vocalist Liz Cass. 1) Your house is on fire - you can grab one vinyl and one vinyl only - what would you take? Eek...Jive Bunny?! I had a huge chunk of my vinyl collection nicked from my car roughly ten years ago and I sadly miss many of my gems. Looking at it now, Richard D - James Album would be a good one to reach for. 2) We're big foodies at Paradise. When you eat out, what's your favourite dish to find on a menu? I love quality Mexican food, specifically fish tacos. They have a cheeky knack of summoning me. 3) Anything big happening in the coming few months you can let us know about? I’ll be releasing three tracks on Sasha's label ‘Last night On Earth’ on November 17th. It's gonna be big - I'm super excited about this. This will then be followed by the fourth collaboration between myself and Pete Tong. 4) What's your cocktail of choice? Or are you a beer/wine/alcohol-free man? All the above! I'm a sucker for a good Old Fashioned. Tequila is also a good thing. 5) On the rare day off from the studio and DJ schedules, what do you get up to? To be honest, it’s all fairly civilised - seeing friends, cooking, going for walks with the hound. Thanks John – we’ll make sure the bartenders are well prepped with the whiskey and tequila this weekend! For more info on John Monkman and Liz Cass (Live) at Paradise this Friday, hit attend on the Facebook event page.